Heat oil on kadai for deep frying. Take one bowl, add besan, salt, turmeric powder, ajwain and mix well. Add required water, make pakoda batter. Add soda and hot 2 to 3 tablespoons oil and mix well. 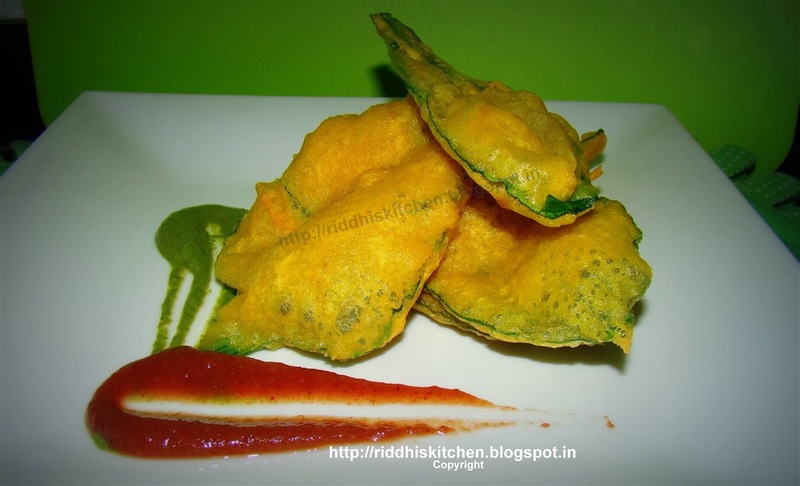 Take one spinach leave, deep into batter and deep fry till golden bown. Drain on absorbent paper. Sprinkle chat masala and serve hot with mint chutney and dates tamarind chutney.